©Bruce Allen. Exclusive to Motorcycle.com, who, in accordance with their editorial calendar, have elected to hold it until January 6, 2017. Here are the top ten “things” that defined the 2016 season, in rough order. Not all of them are actual events. Danilo Petrucci earns promotion over Redding to a full factory ride at Pramac for 2017. The moment? Valencia. Started 14 races, finished in the top ten eight times. Flirted with a front row start at The Sachsenring, tied Rossi, in fact, but fell to fourth over some obscure tie-breaker. At 26 and relatively burly he’s not Alien material, but he can handle the Desmosedici as well as any of the satellite riders and is a baller in the rain. On a full factory bike Mr. Petrucci could easily challenge for a podium or three in 2017. 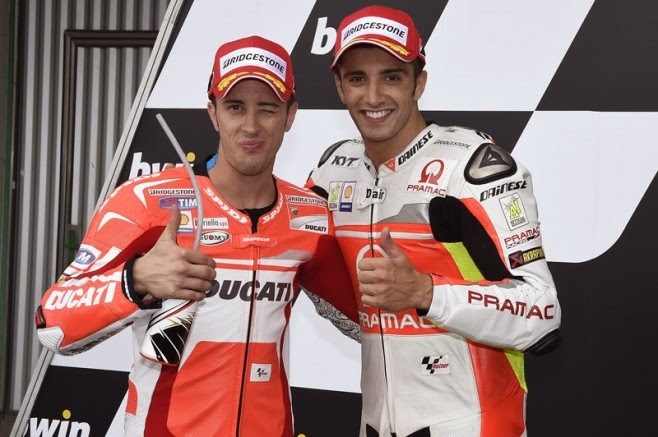 Andrea Iannone gets his first premier class win in Austria while working himself out of a job—slide-off at Losail; collects Dovi at Rio Hondo; crashed out of second place at Le Mans; crashes at Catalunya, Silverstone and Sepang. By mid-season the fearless Italian was being encouraged by Gigi to consider a change of teams for next season, with Suzuki eventually drawing the winning number. The decline of Dani Pedrosa. The moment? When the lights went out at Losail. More DNFs in 2016 than wins. Another Motegi collarbone, this time in FP2. But a brand new contract nonetheless. Dani peaked in 2012 (seven wins, finished second to Lorenzo by 18 points), and is definitely on the back nine of his career. An entire career spent with one manufacturer is impressive in itself. Pedrosa, although well-liked in the paddock, has always struck me as a kind of brooding guy, when he wasn’t displaying his “little man” complex and beating hell out of the field at joints like Laguna Seca. To embark upon another two years of non-Alien level competition may prove to be a mistake. The next Colin Edwards. The Silly Season. Jonas Folger, Johann Zarco, Sam Lowes and Alex Rins earn promotions from Moto2. The return of the prodigal lawyer, Karel Abraham, to Aspar Ducati, his pockets bulging with sponsor money. Out the door are Eugene Laverty to WSB in a very raw deal (I thought he earned another MotoGP season), Stefan Bradl, taking his declining game to WSB as well, and the unfortunate Yonny Hernandez, who had a great 2015, a lousy 2016 and not enough backers to keep his ride. A healthy number of current riders changed scenery, as usual, but a 23- bike grid with six manufacturers offers a number of alternatives for those journeymen seeking the elusive factory ride. Paging Bradley Smith. Cal Crutchlow rises from the dead after a difficult start to the season (five points in the first four rounds) with wins at Brno and Phillip Island. The moment: Brno, Lap 16, on a drying track. Crutchlow goes through on Iannone and quickly gets away, having made the correct tire choice in one of the 2016 rounds that started wet and ended dry. First win by a British rider since the earth cooled. At Phillip Island he went out and thumped the field (Marquez having already secured the title), establishing himself as a credible podium threat in 2017, when he will have even more microphones shoved in his face, to which we look forward with great enthusiasm. Marquez titles after a difficult 2015. Uncharacteristically settles for third in Jerez behind Rossi and Lorenzo, showing a maturity that wasn’t there in previous years. The moment? 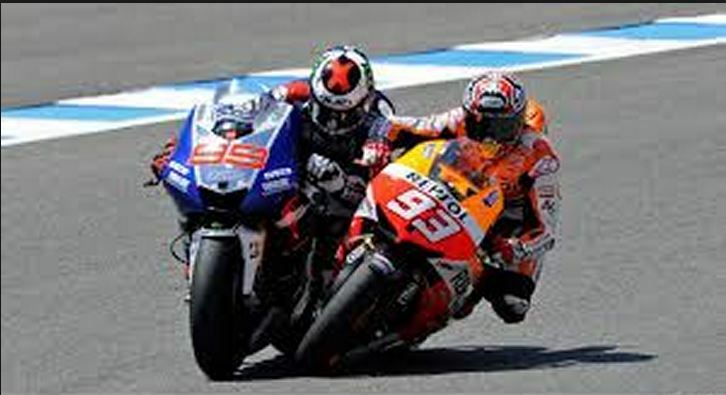 Motegi, when both Rossi and Lorenzo crashed out. His win on Honda’s home field suddenly made him world champion for the third time. Some people will say his save in practice at Assen was the moment, but he has made a career out of impossible saves. Winning titles is what makes him go. Maverick Vinales gets first podium at Le Mans, wins at Silverstone on his way to the factory Yamaha team. The Next Great Rider secured Suzuki’s first podium since 2009 at Le Mans, then broke their 10-year non-winning streak with a scintillating win at Silverstone. Nature, and Yamaha executives, abhorring a vacuum, he was the only real choice when Lorenzo announced his impending departure. Vinales’ Alien Card is stamped and waiting. The best part? See him in civilian clothes and he looks like a cabana boy at the Ritz. Nine race winners. Moment—when Dovizioso crossed the finish line at Sepang to become #9. I expect some of you to quibble about whether an entire season can be somehow characterized as a “moment.” If this really bothers you, I encourage you to read Nietzsche, and to remember that, when considered across the eons of time in the frigid vacuum of space and an expanding galaxy, the entire 2016 MotoGP season is the blink of an eye. So go quibble somewhere else. Jorge Lorenzo to Ducati announcement on April 19. One of the worst-kept secrets entering the season was that triple world champion Lorenzo would defect from the factory Yamaha team to Ducati in 2017. 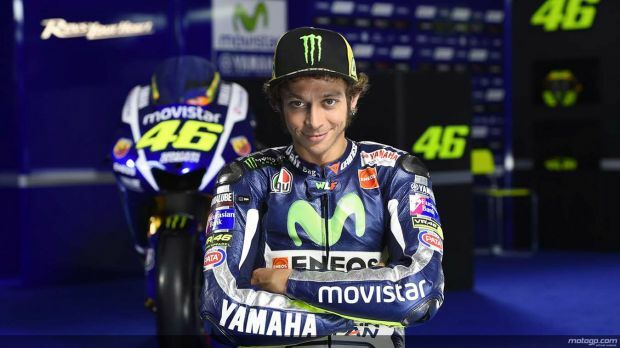 It was confirmed prior to the Jerez round, with Big Blue having already signed teammate and rival Rossi through 2018. The forthcoming changes amongst the Alien contingent in 2017 produced undertones that seemed to color the entire season. A number of factors conspired to limit Lorenzo to a disappointing third place finish in 2016, but he seems certain the grass is greener on the other side of the hill. We shall see. Rossi blows an engine at Mugello. The turning point of the season. Despite a careless slide-off in Austin, Rossi entered Italy with the scoreboard reading Lorenzo 90, Marquez 85, Rossi 78. A three-man race. He left Italy bereft, with Lorenzo 115, Marquez 105, Rossi 78. He had completed Lap 8 checking out Lorenzo’s back wheel when, at the bottom of the main straight, his engine went up, just as Lorenzo’s had without consequence during practice. Control of his 2016 future went up with it, in the thick white smoke pouring from his bike. The bad luck he needed caught up with Lorenzo in the Teutonic territories of Holland, Germany, Austria and the Czech Republic, but Marquez sailed through the season unscathed. 2016 was a season Rossi could have won. Coulda? Woulda? Shoulda? Didn’t. Dude will be fired up for next year. That makes two of us.